Stylish choice of professional capes to protect clients and their clothes. 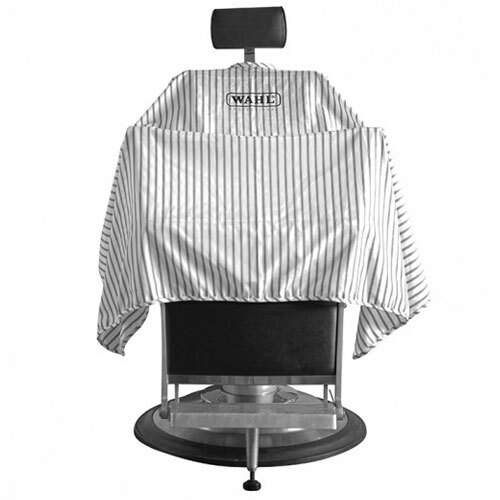 The Wahl Professional Hairdressing Cape is made from 100% polyester, making it both water-resistant and anti-static. It has a secure hook fastening which adjusts to fit all sizes and comes in classic Black or stylish Pinstripe. The Black cape measures 138cm x 153cm while the Pinstripe is 148cm x 153cm. Additionally, the Black cape is bleach-proof and colour-cream-resistant. £13.19 (inc. VAT) Why no VAT? We're a trade wholesaler and quote our prices without VAT to help our VAT-registered customers understand the true cost of a purchase. Black plastic cutting collar that keeps tight to the neck and is proof against water and chemicals. Dimensions: 33 cm wide, 20.5 cm drop from neck down the back. 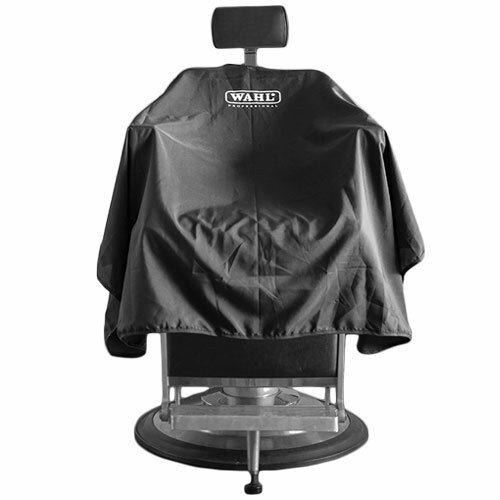 Reusable, black, waterproof cape with an adjustable popper fastening and a 60-cm drop that makes it suitable for all hair lengths. Made from wonderfully soft silicone, our cutting collar is lightweight and chemical proof. 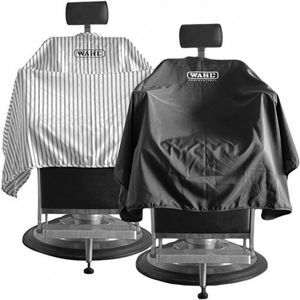 It has an adjustable neck and a secure magnetic closure to ensure your clients' comfort.